The Inkatha Freedom Party remains concerned at the direction the total shut down of services is taking in Malamulele. The shutdown of schools is a counterproductive means of protest and most certainly must not be allowed to continue. Education must not be held to ransom as the future of the learners of Malamulele and affected areas is being compromised. This kind of behaviour is a carbon copy of the ANC’s irresponsible struggle adage that said “liberation now, education later”, which the IFP countered with the sensible philosophy of “education for liberation”. The lockdown of schools muddies the waters in discussing this matter in good faith. The IFP maintains that the demand of the Malamulele Community for a separate municipality from Thulamela Municipality must not deprive learners of their right to learn, and teachers of their duty to teach. The IFP makes the clarion call for learners to be allowed to go to school. The total shut down of the education system in the area is totally unacceptable and we call for sobriety of minds in this regard; the black children must not themselves be disadvantaged by this impasse. 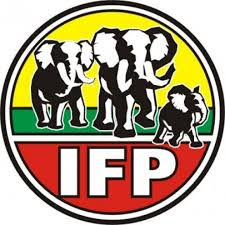 The IFP calls for a speedy return to the classroom, without any further delay. Last week we called on the Minister of CoGTA, Pravin Gordhan MP, to intervene to resolve this impasse. The IFP remains steadfast in its appeal that “The Minister of CoGTA to convene a Special Imbizo, with all relevant stakeholders inclusive of the community leaders, Thulamela Municipality, Parliaments Portfolio Committee on CoGTA, Traditional Leaders, the Provincial Government, SALGA and the Municipal Demarcation Board to thrash out a new approach to deal with this impasse. The IFP appeals for calm and restraint during this time, as violent means of protest will not amicably address the current situation.